Deep in the heart of west Texas, surrounded by semiarid plains and prized oil country, you’ll find the small city of Odessa. 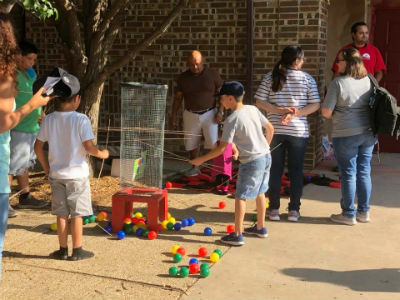 Though it may not garner much media attention, a remarkable story of transformation is developing out of the city’s young Church of God congregation known as New Dawn Fellowship. Focusing more on discipling new believers and not simply packing the pews, the church has celebrated relatively slow, but healthy growth. The congregation, 90 percent previously unchurched, has rejoiced at more than 30 salvations, more than 30 baptisms, and multiple rededications in just three years. 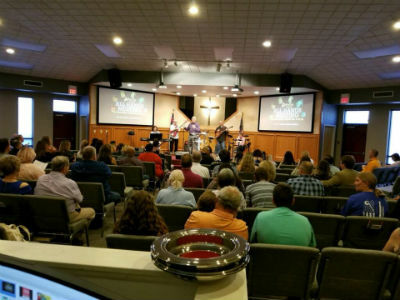 On August 5, after outgrowing its previous facility, the community-oriented church enjoyed a grand opening worship service in their new home, welcoming 154 people through their doors. 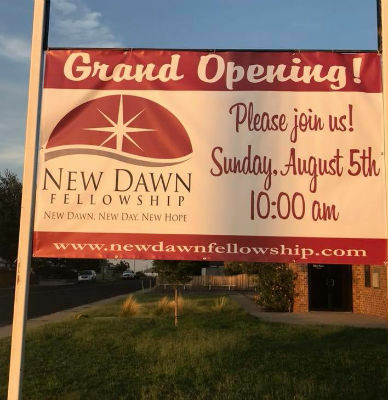 New Dawn Fellowship grand opening sign. Like a sports team at half-time, the congregation does need a place to huddle up, refresh, refocus, and prepare for the continued game of life—ministry throughout the week. Thankfully, God’s at work inside the New Dawn Fellowship walls, too. Now the congregation has more space to stretch within those brand-new walls. Inside their new worship center on August 5. Wally wouldn’t describe New Dawn Fellowship as “big-money” church. But he insists God has always provided. Doors continued to open during the process, and ultimately two banks in Odessa were “fighting over” them. Then, when a down payment was needed on the new building, God brought in all the necessary funding in only ninety days. In Texas, across North America, and around the world, God is on the move in the Church of God. Join the movement. Give life. Donate today at give.jesusisthesubject.org. This entry was posted in All Church of God, Central, Give Life and tagged baptisms, baptized, building, church growth, church plant, church planting, city, community, discipleship, evangelism, government, grand opening, New Dawn Fellowship, Odessa, outreach, partnership, property, purchase, relocation, salvation, saved, slow-growth model, Texas, transformation, TX, Wally Schiwart, west Texas. Bookmark the permalink.